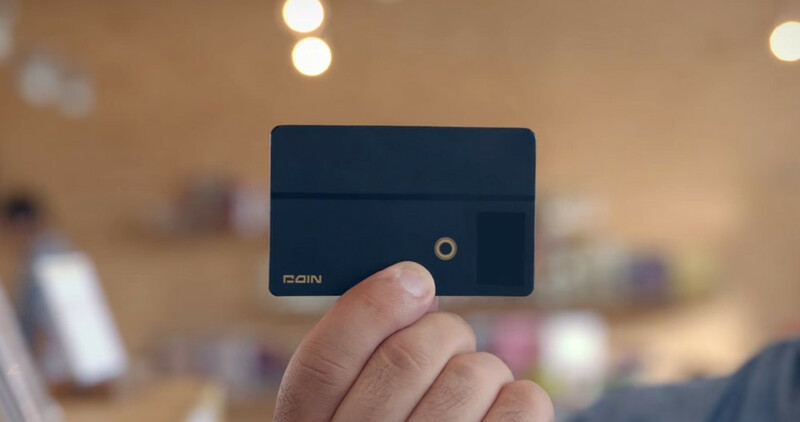 A couple of weeks ago, Coin – the credit card to replace all credit cards – told us that it was ready to ship to backers and that its companion Android app would arrive by September 25, about a month after the iOS app. Today, things have changed drastically, with Coin announcing to a small group that it has essentially delayed the product as it works out kinks, manufacturing issues, and most importantly, gets card swipes up from its current 85% success rate. Coin will now only invite 10,000 people to test what they are calling “Coin Beta.” The rest of its thousands and thousands (potentially in the hundreds of thousands) of backers will have to wait until Spring 2015 to get the “Gold Standard” edition, almost a year after it was promised. 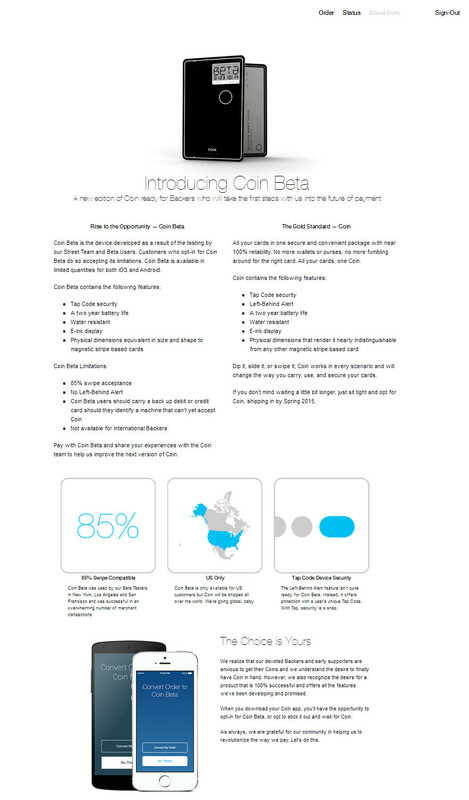 If you are lucky enough to get an invite to the Coin Beta (Edit: we got ours we weren’t), then you have a choice. You can either opt-in and be a part of an exclusive group or decide to wait until Spring 2015. The Coin Beta has some definite drawbacks at this time. First, Coin is only seeing an 85% success rate, so there is a chance that you will swipe Coin to purchase something and see that embarrassing credit card failure note. The beta also does not include the “Left-Behind Alert,” an option that notifies Coin owners via phone if they leave their credit behind at a table or point of purchase. The beta is only available to US consumers as well. The Gold Standard edition should have Left-Behind Alerts and will hopefully work more than 85% of the time. If you were a backer of Coin, then you are already realizing the issues that come with crowd-funding products. The creators of Coin have now admitted that they can’t deliver their product until almost a year after initially promised. That’s a big deal, and should leave you not only frustrated, but worried about the future of this company.